Access to this simple device can create jobs, improve healthcare, and keep girls in school. For Monica Maungila, a seventh grader at Katoba Primary School in Zambia, getting to school was not always easy. She was often late because her home was six kilometers away and her only mode of transportation was her legs. Other daily tasks were also difficult. To fetch water, she would have to carry a bucket on her head for a long distance. If one of her five brothers or two sisters got sick, the clinic was far away. But one day, this all changed. Monica began arriving at school on time, sometimes even early. She could bring her brothers and sisters to the clinic. And she no longer needed to carry a bucket of water on her head. That’s because Monica received something US kids typically take for granted — a bicycle. 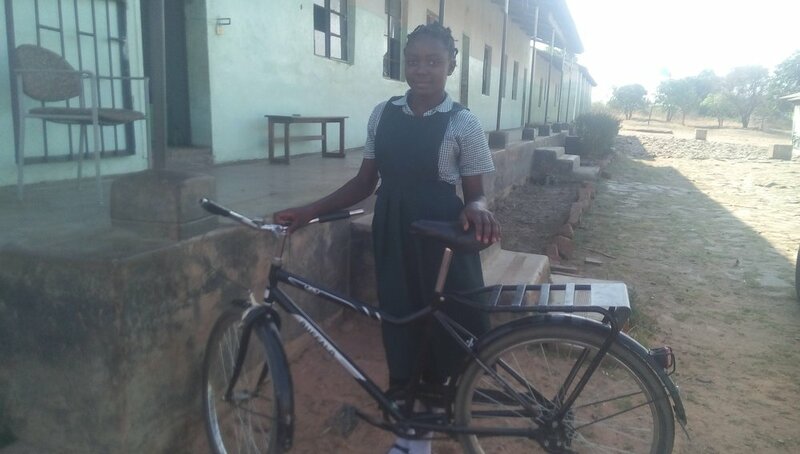 “Before I got the bicycle, I had a lot of problems,” Monica said in a phone interview with Global Citizen from her school in Zambia. While Monica is just 12 years old, she wants to finish her education and become a nurse. And now she’s on the right path to do these things, in no small part due to her bicycle. Kabulaonga Primary School in rural Zambia received 100 bicycles from World Bicycle Relief. Monica received her bicycle through a non-profit called World Bicycle Relief. The organization, now in its 11th year, has expanded dramatically from its initial goal of distributing bikes to people in Sri Lanka who were impacted by the 2004 Indian Ocean tsunami. Now it’s a global nonprofit that has delivered over 300,000 bicycles to students, health care workers, and entrepreneurs in 18 countries. In 2015 alone, the organization provided more than 60,000 bicycles in 11 countries. In the next 10 years, the organization’s goal is to distribute 1 million bikes annually around the world. “It’s not about the number of bicycles that go to the field, but the sustainable impact of those bicycles,” said Dave Neiswander, the recently named president of World Bicycle Relief told Global Citizen. Neiswander, a former investment banker, displayed both the precise language of a financier and the empathy of a non-profit field worker. 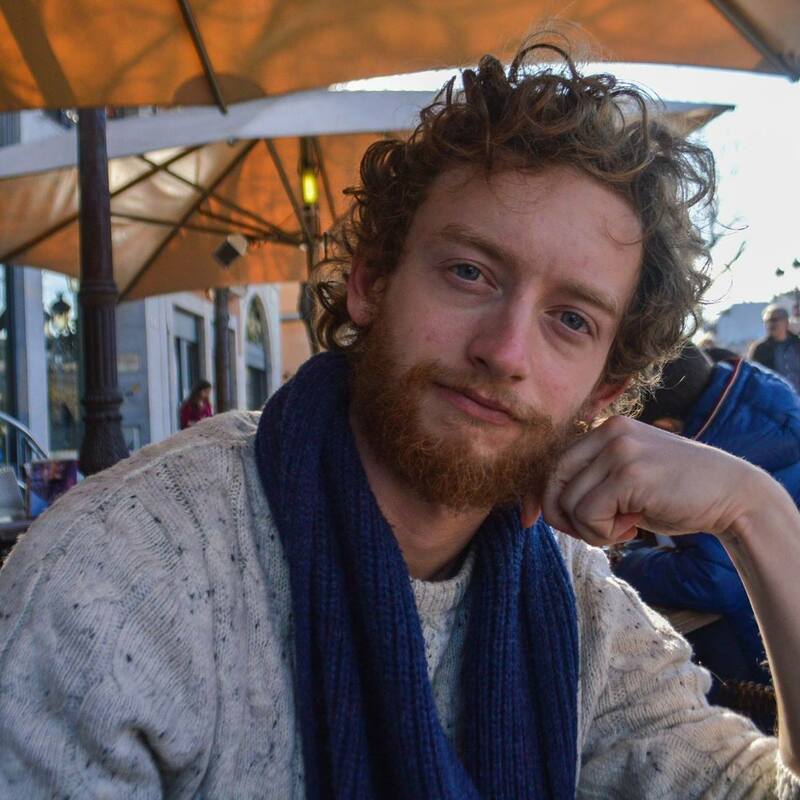 After working for nine years as World Bicycle Relief’s Africa Director, Neiswander is intimately familiar with the challenges of providing high-quality bicycles in remote parts of the African continent. World Bicycle Relief encountered several challenges as it tried to expand globally in its early years, Neiswander said. “It’s not about the number of bicycles that go to the field, but the sustainable impact of those bicycles." 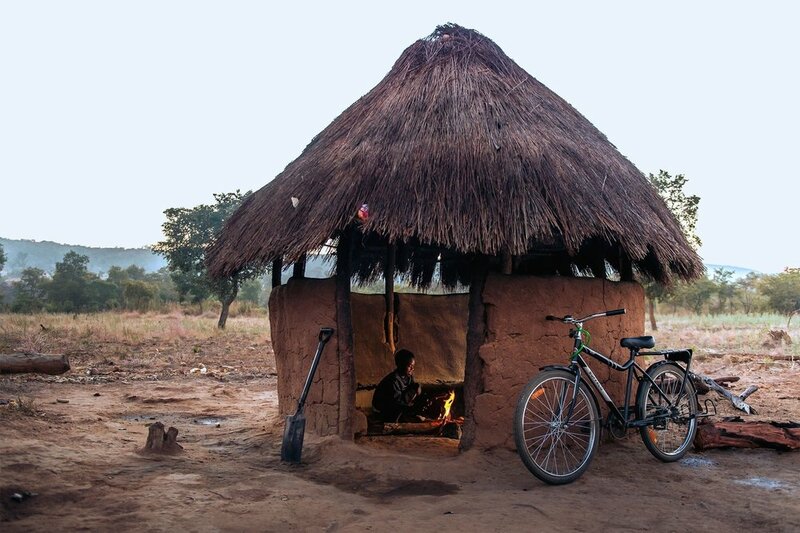 Tamara, a student in Zambia, cooks breakfast in the early dawn before she heads to school on her Buffalo Bicycle. Biking has not yet permeated much of the African continent for a few reasons. First is the almost complete lack of domestic bicycle production. The BBC estimated that in 2012 there were only about 10 million bikes in all of Africa, many of which were of low quality and imported. For many years, second-hand bicycles sent in from China and India were just about the only bicycles available. Excessive heat has also limited the amount of cyclists across the continent. But perhaps the biggest roadblock is the lack of bicycling infrastructure. Unable to pave roads or embark upon massive infrastructure projects, World Bicycle Relief did the next best thing: they built a bicycle model suited to the conditions at hand. 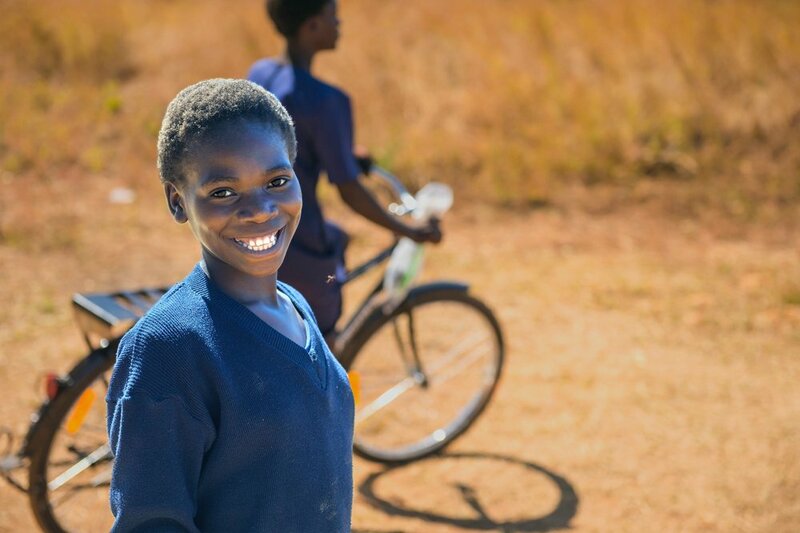 Tamara walked 4 kilometers along rough roads to school before receiving a Buffalo Bicycle from World Bicycle Relief. Her travel time to school has been decreased by 75% with her Buffalo Bicycle. What was needed was not necessarily more bikes, but better ones. Stronger ones. World Bicycle Relief co-founder F.K. Day and his team decided to design a sturdy, dependable bicycle with less developed countries like Zambia in mind. In order for the bicycle to be effective and useful, it had to survive the harsh conditions and fit the needs of the individuals riding it. They created the Buffalo Bicycle to be a strong, rugged bike with thick tires, a protected gearbox, and a rear rack that can carry up to 220 pounds of weight. F.K. and his co-founder Leah Missbach Day were no strangers to the biking industry. F.K. helped found the SRAM Corporation — a major supplier of cycling parts (that also supplied some of the parts for Lance Armstrong’s racing bikes.) He’s now been in the bicycle industry for more than 25 years. After the success of the Sri Lanka launch, he recognized that there was not only a need for high-quality bikes in developing countries, but also a huge economic and social potential for bicycles in places like Africa, Southeast Asia, and Latin America. Dairy farmers in Zambia could get more milk to market, healthcare workers could visit a greater number of patients, and students could get to school with far more regularity. 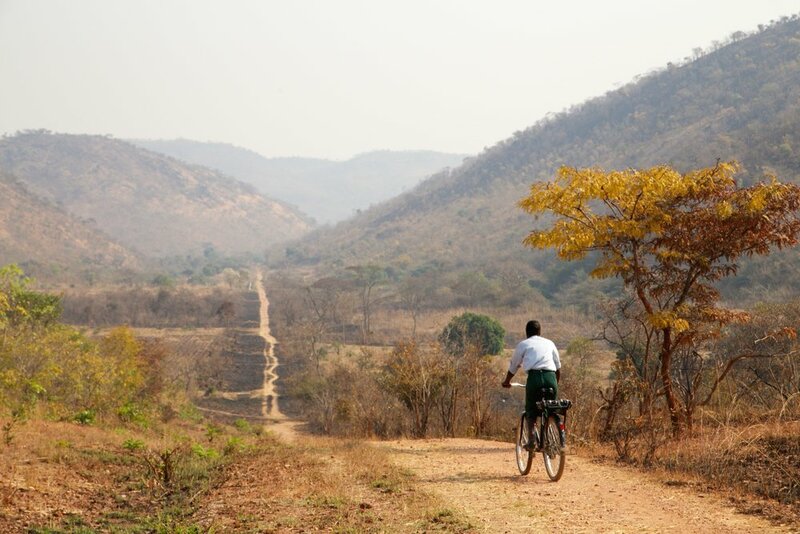 Ethel, a student in Zambia, begins her nine kilometer ride to school. Before receiving her Buffalo Bicycle from World Bicycle Relief, it took Ethel two hours to walk to school. The organization’s funding structure is a innovative way to provide and maintain high-quality bicycles. World Bicycle Relief relies primarily on individual donations. But, it also benefits from direct sales of bicycles to social enterprises and entrepreneurs, healthcare organizations, and individuals. “One thing that’s unique is that there’s a market demand for the bicycles we’re supplying,” Neiswander said. This funding structure will allow the organization to continue growing as it seeks to find the most effective way to provide an ever-expanding quantity of bikes. 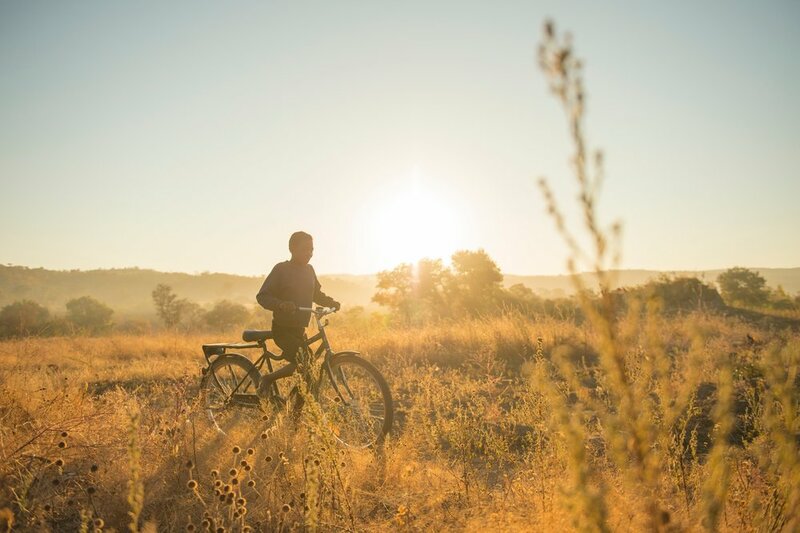 Few studies have looked at the impact of bicycles on an individual level, but World Bicycle Relief is looking at the role bicycles can play in promoting economic development, providing access to healthcare, and encouraging educational attainment. After the Indian Ocean tsunami that brought World Bicycle Relief to Sri Lanka in 2005, the organization commissioned an impact-assessment report. The study found that when given access to bikes, Sri Lankans saved between 60-82 rupees ($.55-.75) per day. This was through a combination of spending less disposable income on transportation and having more time available to earn money. Further WBR studies have echoed the benefits of bike ownership. This is especially true when it comes to education. 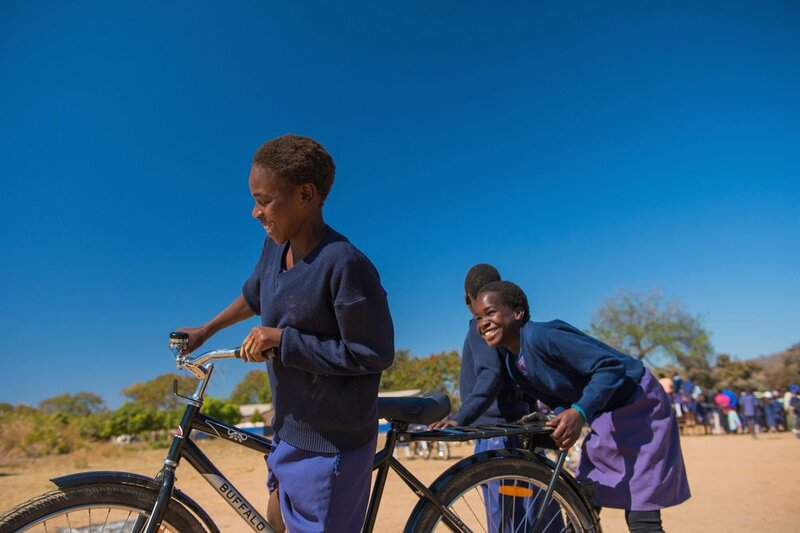 Another WBR report on their Bicycles for Educational Empowerment (BEEP) program in Zambia found that students who received a bicycle experienced a 28% increase in attendance rates and 59% improvement in academic performance. With a relatively small investment in a high quality bicycle, the impact for a student is significant. For girl students in particular, this program had a dramatic effect. Having access to bicycles changed the way girl students were treated and valued in their households. When a girl owns a bicycle, not only does the value of her education go up, but she is now more valued in her family. Even in areas where girls and women did not previously ride bicycles due to cultural norms, bicycles were welcomed since they brought value to families and communities. Students who received a bicycle experienced a 28% increase in attendance rates and 59% improvement in academic performance. “Many times this bicycle will be the most valuable asset in that household,” Neiswander said. Girls who owned bikes were less likely to become involved in child marriages and more likely to finish high school — key factors in breaking the cycle of extreme poverty. The other benefit of the program was for the family. When not in school, members of the girl’s family could use the bicycle. Therefore her educational success became uniquely tied to the family’s ability to bring goods to market and get to and from work. Through World Bicycle Relief’s Bicycles for Educational Empowerment Program, students receive bicycles by signing and fulfilling 2-year study-to-own contracts. Much has been written about the developing world’s insufficient large-scale infrastructure — such as roads, ports, and railways — but individual transportation throughout the continent is often severely lacking, as well. The bicycle, Neiswander explained, is the most suitable form of transportation among the underserved, rural markets of developing countries. But outside of a small collection of international organizations sending bikes to parts of Africa, Southeast Asia, and Latin America, high-quality bikes can still be quite hard to come by. Read more: What 6 Things Are Keeping Kids From School? World Bicycle Relief hopes to scale its project up to 1 million bikes annually throughout the developing world. This will involve trying to work with larger non-profits like the Bill and Melinda Gates Foundation, UNICEF, and USAID, to name a few. “The first 10 years was a lot about what can we do,” he added. Now, the question has changed. “What could we do?” he wonders.